Peavey Tour TKO 115 Bass Combo Amp The Peavey Tour TKO 115 is a 400w 1x15 in. bass guitar combo. The top loaded, kick back design of the cabinet is a design bridge between the Tour Series heads and cabs and the ProBass Combos. The 1/4 in. input has a bright switch and an active/passive switch. There's a pre gain knob and a contour switch for a pre-shape eq. A 2 band eq is next, with a 7 band graphic, with a defeat switch. An effects loop, footswitch input, master volume, tuner output and DDT on/off switch completes the front panel. The lightweight class D power drives a ceramic 15 in. speaker and hf tweeter for light weight. 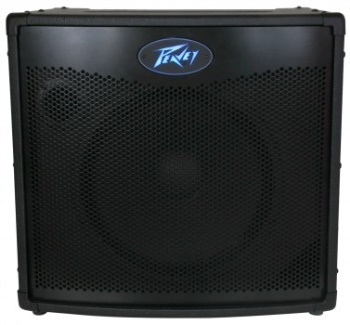 Remix Music is an authorized dealer of Peavey products.